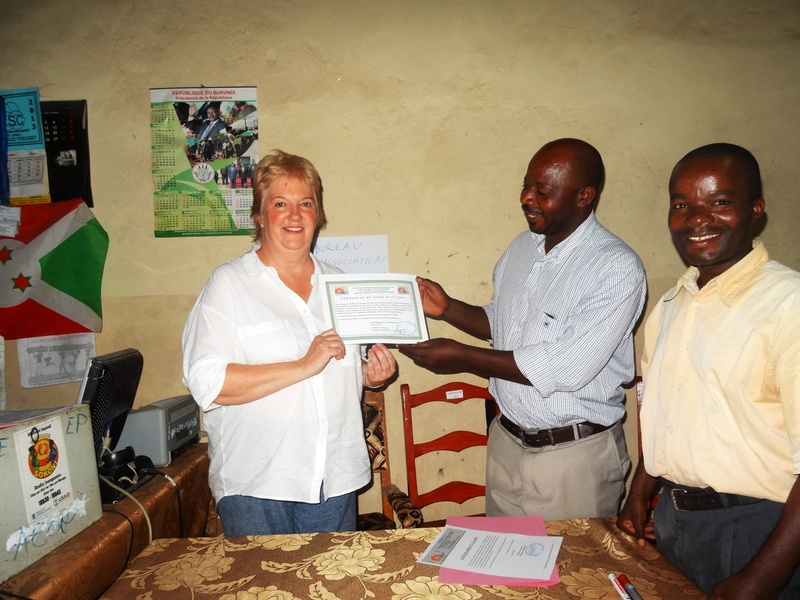 Having worked in Burundi since 2011, AOAV have extensive expertise when it comes to the reduction of violent conflict. Their central mission is to reduce harm caused by armed violence, but also to rebuild the shattered lives of those who are affected by conflicts. Their work has led to a drastic reduction in the flow of weaponry in the region, but also they have succeeded in transforming the lives of former combatants into society through disarmament, demobilisation and reintegration (DDR) programmes. Judith Hartley completed a 3 week placement in Burundi with Action on Armed Violence (AOAV), who work to reduce harm caused by armed violence and help individuals affected by armed conflicts to rebuild their lives. On her placement Judith provided invaluable mentoring to finance officers, evaluated the financial management procedures of the organisation and compiled a finance procedures manual. This unique experience helped Judith secure an interim position with an international NGO in London. “Having worked in the UK charity sector for several years, and having a long-standing interest in the ‘developing world’, I took voluntary redundancy from my previous post to have a career break and try to make the move into the international NGO sector. I lacked experience working overseas ‘in the field’, so the volunteer placement with two small NGOs in Burundi was just what I needed. It gave me the opportunity to improve my French, as well. “Before I left I was anxious about meeting their expectations, but I received such a warm welcome, and they were so grateful, that it was quite humbling. One of them said that just by being there, and showing an interest in their work, I had helped to give them a renewed sense of purpose. In addition, I was made an honorary ‘ambassador’ by one of the organisations, and presented with a certificate. “The training I received at London South Bank University, in conjunction with CIPFA, gave me a good foundation in charity accounting, and on the placement I was mentoring two finance officers, evaluating their financial management procedures, and compiling a finance procedures manual. “I didn’t have a lot of free time, but one day I took a trip out of Bujumbura, where I was working, to see a bit more of the country, and followed the coast of Lake Tanganyika southwards towards Tanzania, and saw some beautiful beaches and scenery, in contrast to the desperately poor living conditions of the rural population.